Every home is required to have smoke detectors. Get the most benefit by monitoring them through your security system. Have you ever come home to a flood in the laundry room, or a burst pipe in the basement? Home security is about more than just burglary prevention. Protect your home against the damage from elements by adding environmental sensors to your security system. Monitor your smoke detectors through your alarm system to ensure a quick response in the event of a fire. Place water detectors in flood-prone areas, like your basement, so you’re notified of pooling water before costly damage occurs. Keep your family safe by having your carbon monoxide detectors monitored; both you and your contact list will be notified if a toxic level of the gas is detected. We can answer any question about environmental sensors and how they can enhance your safety and protect your investments. 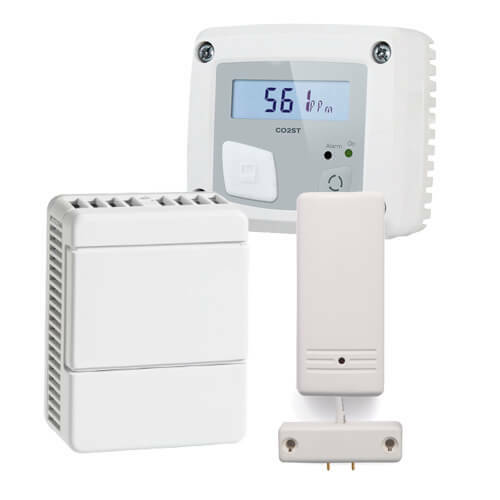 Learn more about alarm monitoring here.